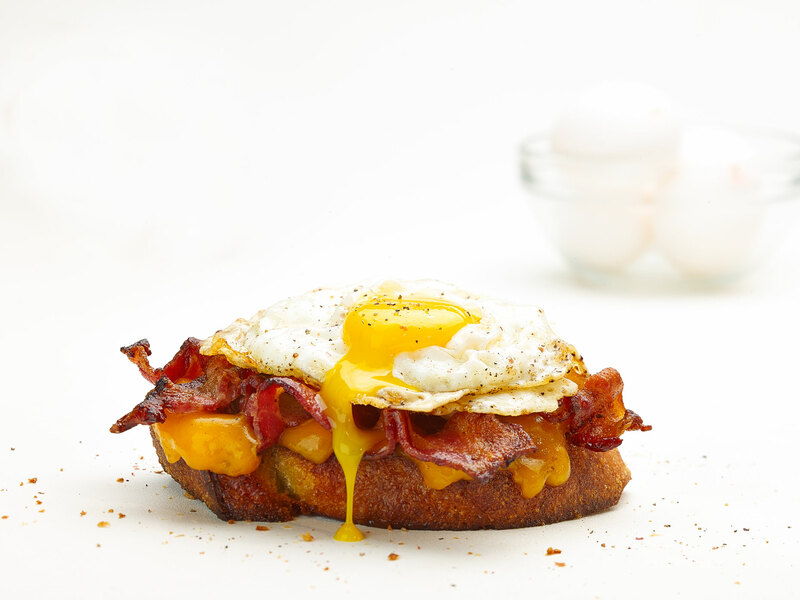 Open face egg sandwich photography by Joe Brooks in Orlando, Florida. Award winning food & beverage photographer. Call us today to learn more.